Talk about compounding interest! 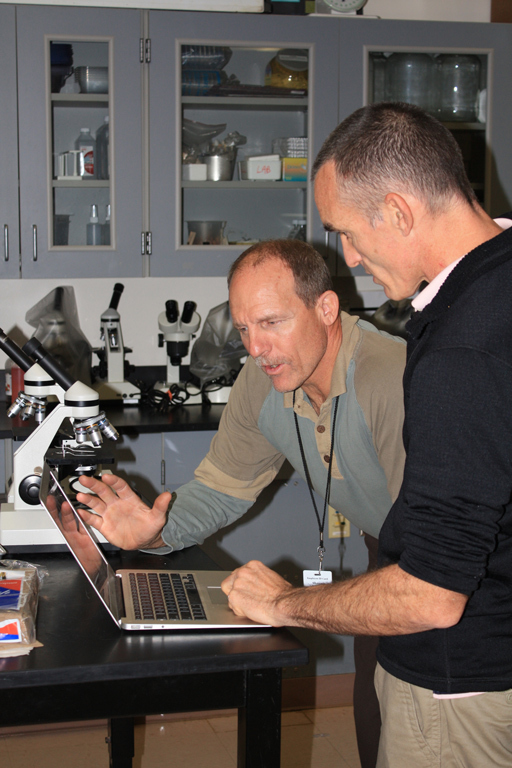 Put together scientists and teachers who are passionate about their work with students who are eager to help with ongoing research and watch as excitement fuels student engagement, sparks career interest, and feeds enthusiasm of all. And as a side bonus, research is conducted more efficiently in both time and cost. That’s a pretty good return on investment. Some Florida high school students have been given an opportunity to engage in hands-on research that is as meaningful as it is fun thanks to a new initiative called Project Gulf Oil Observations (GOO). Members of the research consortium Deep Sea to Coast Connectivity in the Eastern Gulf of Mexico (Deep-C) developed Project GOO which trains teachers and students to be effective citizen scientists and puts their new-found knowledge into use during visits to Gulf beaches in search of oil patties. 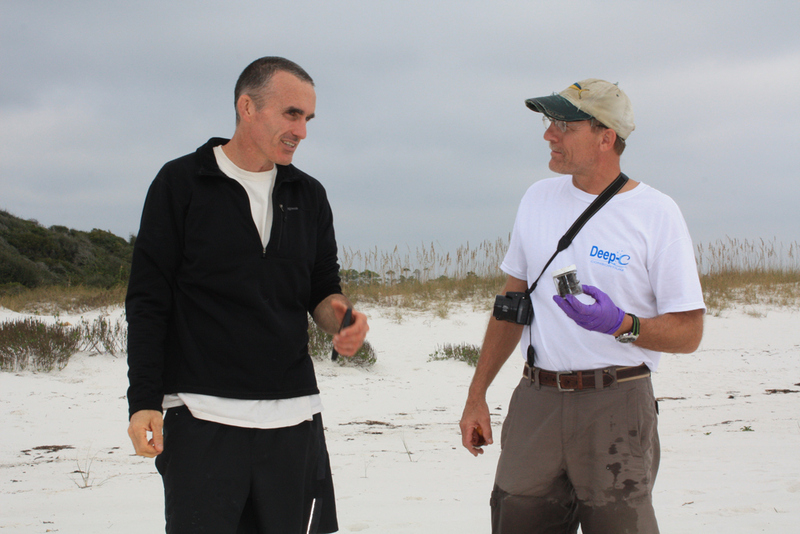 Deep-C studies the long-term fate and effects of petroleum hydrocarbons in the Gulf. 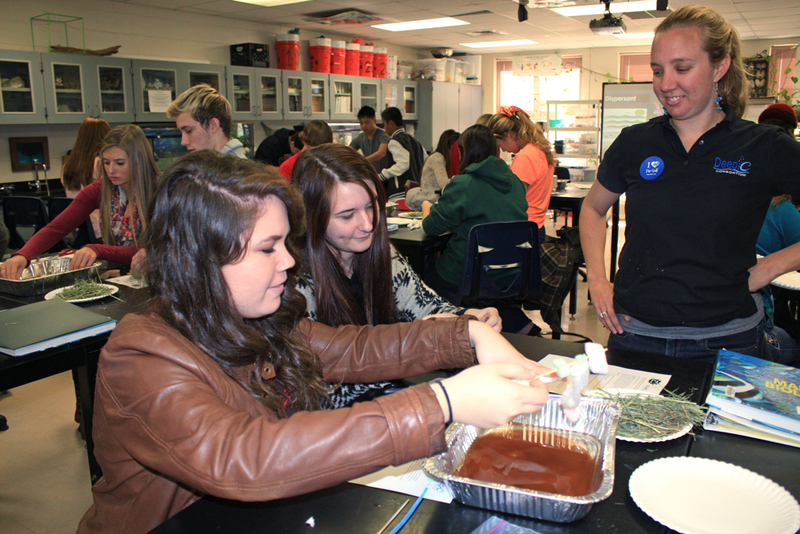 In November 2013, Deep-C representatives Amelia Vaughan and Danielle Groenen accompanied Reddy and his research associate Catherine Carmichael to West Florida High School of Advanced Technology to work with Shawn Walker, a Marine Science teacher. 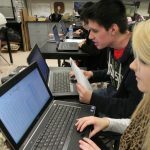 The Deep-C group brought action-packed lesson plans that engaged and motivated students, which Walker very much appreciated: “Their hands-on lab activities, video presentations, relevant articles, and direct instructional approaches showed significant pre-planning and organizational skills. More important, was their genuine desire to make a positive and lasting impression on the students they are working with.” The next day, the team went into the field with Walker to train him in their methods. 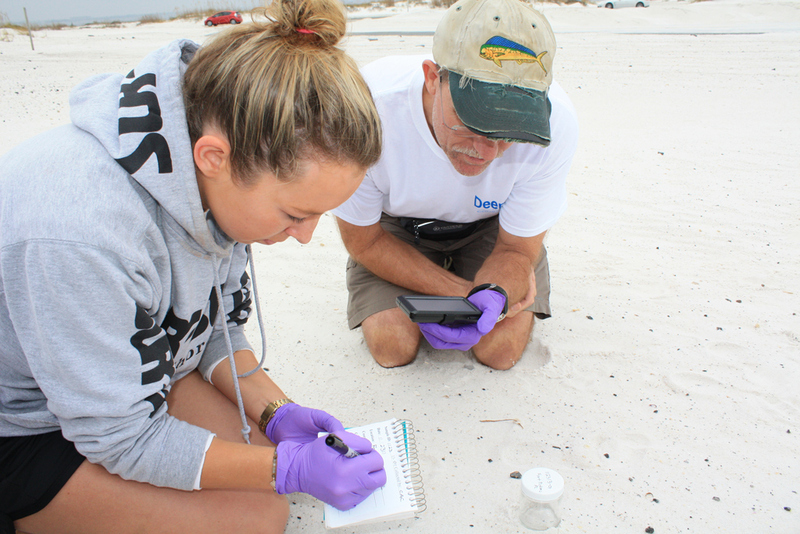 In late February, Walker will take two of his classes to Gulf-front sites in the area to collect samples and mail them to the Reddy lab at WHOI for analysis. 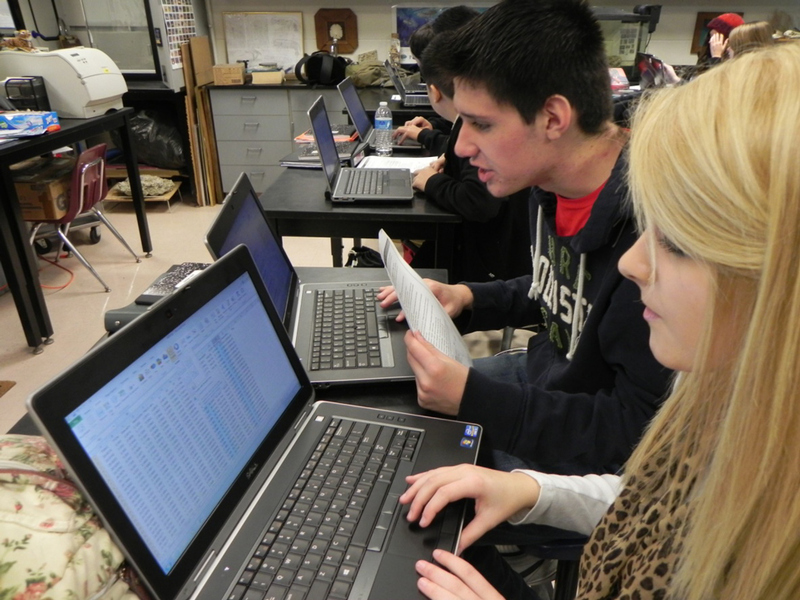 The Deep-C GOO coordinators are excited to be working with their first group of students. Over the next five months, these “GOOies” will receive on-site instruction and special training. 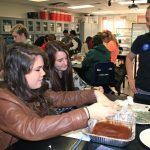 The lesson plans and hands-on activities meet Florida’s educational standards and touch on general ocean science and oil spill research, oil degradation, how to think like a scientist, and the correct way to conduct scientific sampling. The first phase of Project GOO was so successful that Deep-C plans to broaden it to include a school in Tallahassee at the end of March, adding Dr. Olivia Mason from Florida State University to the team for her expertise in oil analysis. Engaging younger students is equally important to the project. At WHOI, Reddy works exclusively with graduate students. 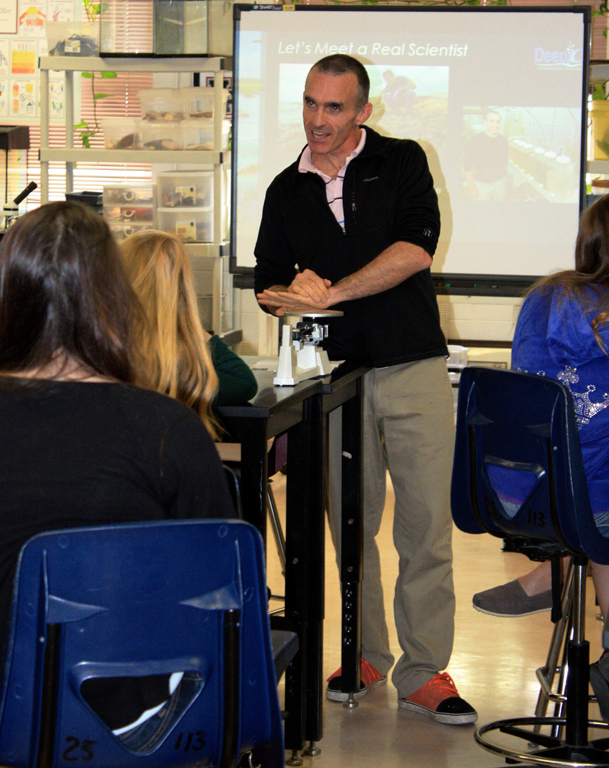 He called working with high school students “a real treat” and stressed the importance of getting young people “hooked” on science before they begin college and make choices that will affect their own life’s path and the future of scientific research as a whole.